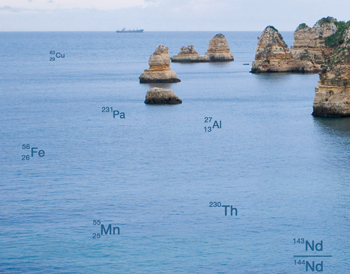 Many trace elements are critical for marine life and therefore influence the functioning of ocean ecosystems and the global carbon cycle. Some trace elements are also of concern as contaminants, while others, together with a diverse array of isotopes, are used to assess modern-ocean processes and the role of the ocean in past climate change. Despite the recognised importance of trace elements and isotopes in the ocean, our ability to exploit knowledge of their attributes is limited by uncertainty about their sources, sinks, internal cycling and chemical speciation. GEOTRACES now fills this critical gap with knowledge of the marine biogeochemical cycles of trace elements and their isotopes at an unprecedented scale.